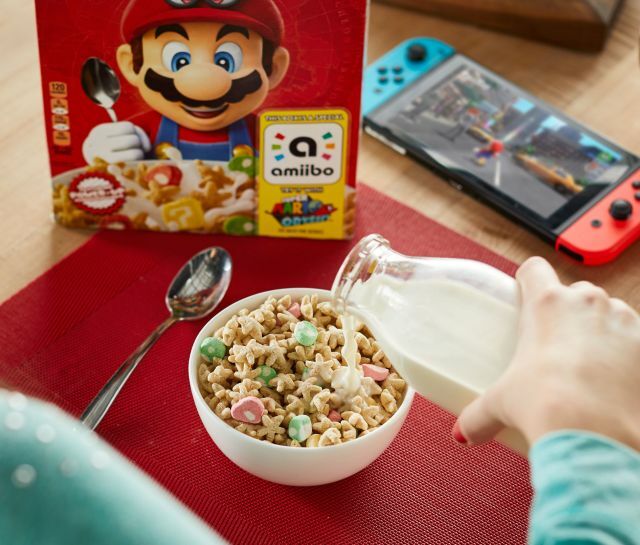 Nintendo and Kellogg's have partnered up to launch new Super Mario Cereal, a mixed berry-flavored, star-shaped cereal with "power-up" marshmallows (which are shaped and colored like power-ups from the Super Mario video game series). 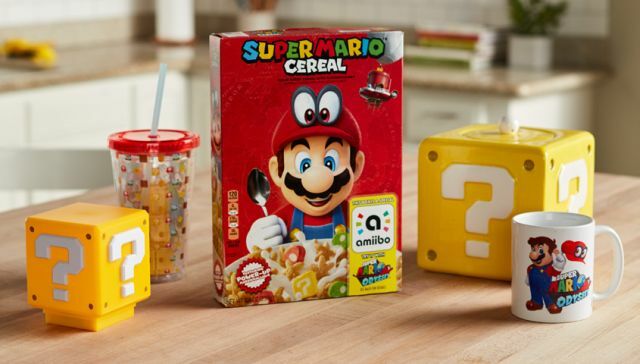 The cereal comes in a limited-edition box that arrives nationwide starting December 11, 2017. The box sports Super Mario Odyssey box art and also functions as an Amiibo accessory that can interact with the Super Mario Odyssey game for the Nintendo Switch video game system (basically, you can tap the cereal box with the game remote and get gold coins or a heart in the game). Photos via Kellogg's and Nintendo.